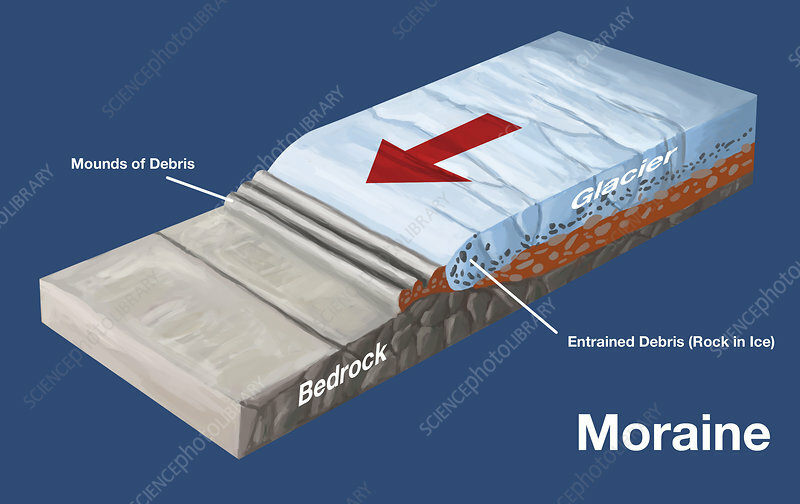 Diagram showing formation of a moraine. This is a mound of debris formed by the advancing movement of glaciers. As the glacier advances, it pushes debris (rock and soil ranging in size from grains of sand to boulders) into a pile.